as easy and as fast as possible! FHA loans allow potential homebuyers to purchase a home without a very large down payment which is a relief to low-income families who wish to purchase a home. 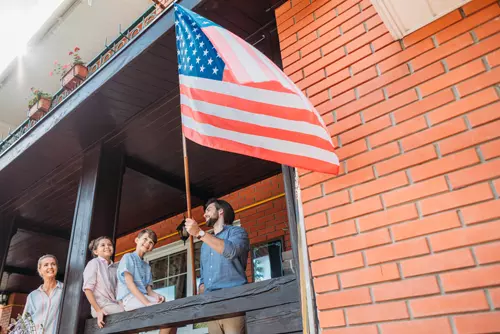 Veterans can choose to construct, buy, repair, or refurbish a home with the help of the VA loan. A conventional loan is simply a mortgage that is not insured or backed up in any way by a government agency such as the Federal Housing Administration or the FHA. Unlike government-backed loans, the terms and conditions in a conventional loan are defined by the lenders than government agencies. A reverse mortgage is a type of loan in which a borrower with a sizable home equity is granted a loan based on the value of the borrower’s property. The amount is loan either as a lump sum or in terms of monthly installments. The FHA 203K loan or the Federal Housing Administration’s 203k Rehabilitation Mortgage Insurance Program is a loan created by the Federal Housing Administration to help homeowners with the rehabilitation, renovation, and repair of their homes. Jet Direct Mortgage has a wide range of loan programs to find the one that is perfect for you to build your dreams around – with the unmatched service to make the process as stress free as possible! Integrity is at the forefront of our standards. Maintaining honesty and transparency builds trust and relationships. Use one of our mortgage calculators to quickly and easily calculate the right monthly mortgage payment for you. Jet Direct is Now Licensed in Tennessee! How Much Money Should You Put Down? What Exactly Does an Underwriter Do?